Sometimes the backup plan can turn out better than the original. Or, at least it can seem that way when you find a hidden treasure of a destination only because your “Plan A” washed out. That was the case when a friend and I set off for a day trip to Fossil Creek in central Arizona this past weekend. 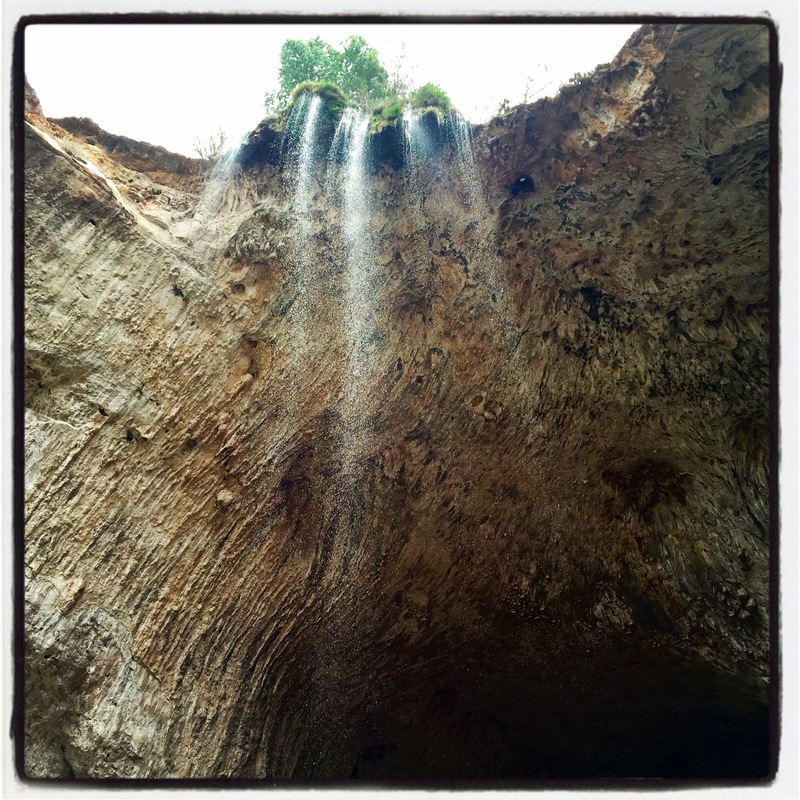 For years, I had wanted to take the steep hike down to the stunning falls at Fossil Creek. I had heard rave reviews about the place from friends, and I had seen beautiful photos online. But for some reason, I never made it to the place. Well, I decided that that was going to change, and we planned a Sunday trip to the Camp Verde-area attraction. As luck would have it, though, I was not destined to get to Fossil Creek. As we approached the turn-off along Highway 260, we began to notice an unusual amount of traffic. 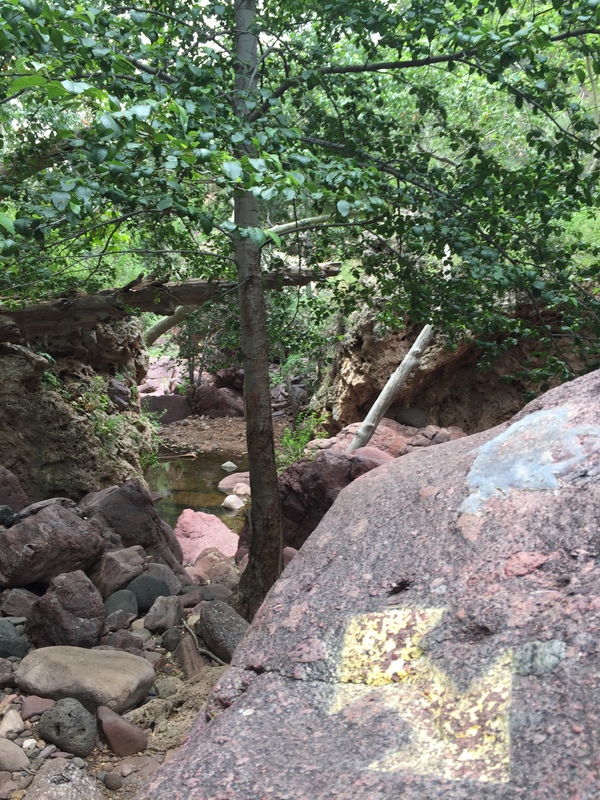 Then, a large sign at Forest Road 708 announced the bad news: The Fossil Creek parking area was full, and the road to the trail was closed. 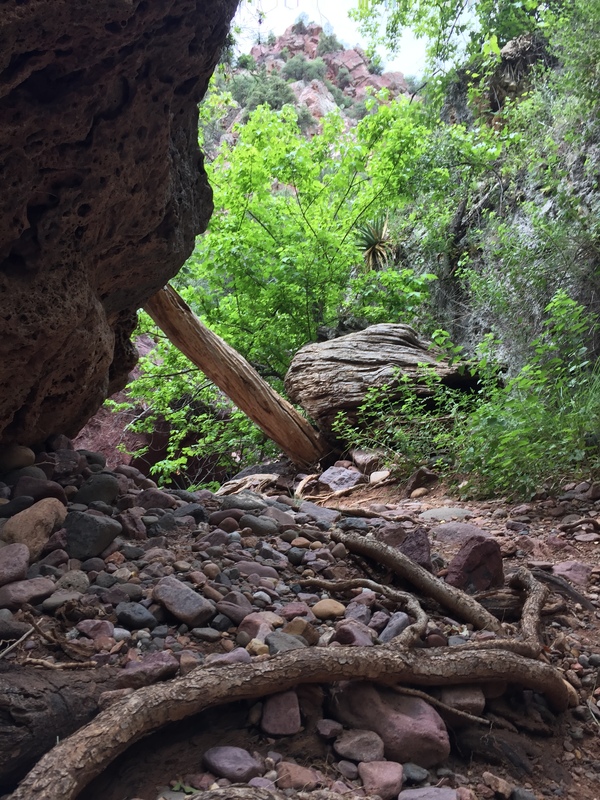 Not to be deterred, we immediately decided to try to get to the trail from the other end – near Strawberry, Arizona. Even though it was a 30-mile detour, we decided it was worth it. But again – no luck. That trail was also closed. When we questioned the Forest Service employees manning the road closure near Strawberry, we learned that the Camp Verde side had been closed since about 7:30 a.m., and the Strawberry side closed down at 9 a.m. Much too early for our 11 a.m. arrival. We were forced to regroup again. 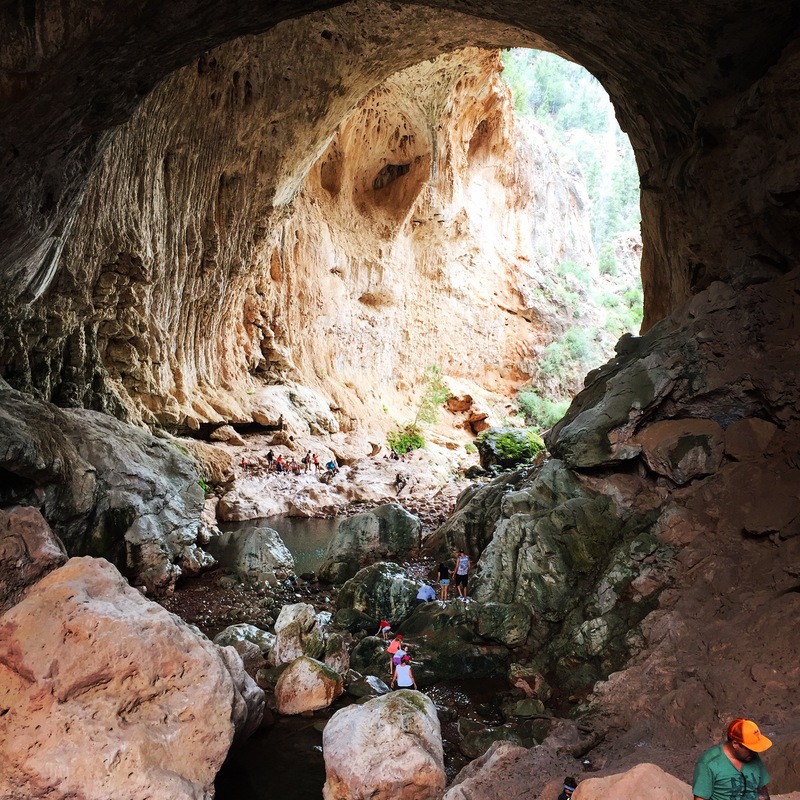 Based on a recommendation from the Forest Service workers, we decided to check out the Tonto Natural Bridge State Park near Strawberry. I have to admit that the state park was never on a “must” list for me. Even though it is located only a couple of hours from my home, I barely remembered that it existed. It sounded intriguing, though, and after traveling for more than two hours, we weren’t going to head home without some sort of adventure. So, we took the short jaunt to the state park. The ranger at the entrance warned us to take along water, and wear good shoes. As regular hikers, I’m not sure we really took that advice to heart. We always take water, and wearing our Chaco hiking sandals, we were sure we were OK. And the hike was only a half-mile! How hard could it be? Well, the difficulty ended up having nothing to do with the distance, and more to do with the terrain: Rocks, lots of rocks. 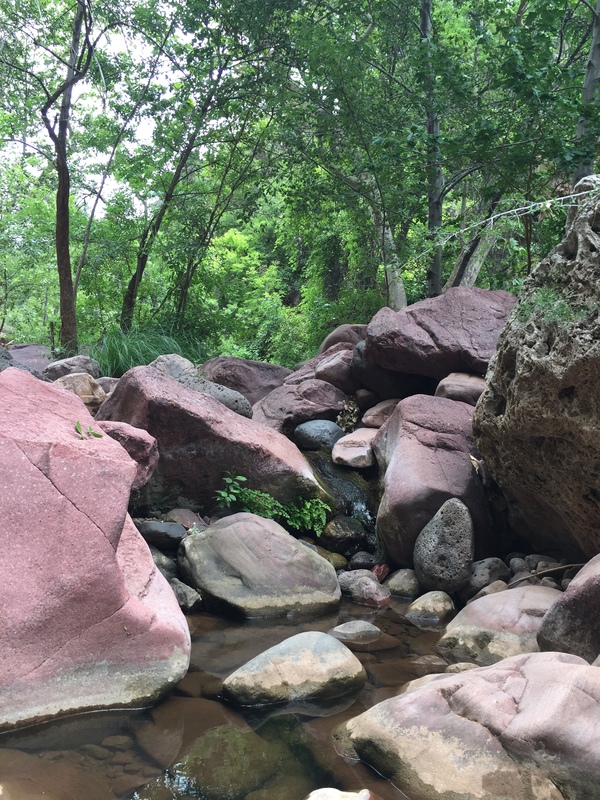 After descending a long staircase, we came to a creek bed lined with very slippery boulders. Faded arrows pointed us in the sometimes-implausible direction of the trail. It took a while, but finally, the payoff: A massive travertine dome, covering a beautiful series of small waterfalls and deep ponds. Overhead was the enormous rock formation in the shape of a bridge. The size is difficult to capture in photos, but suffice it to say, you feel pretty insignificant standing below the bridge. As we neared the largest pond, the rocks got a little treacherous. Thousands of feet and hands have worn the rocks to a slick surface, and it was not easy to get a firm stance on the narrow footholds carved into the steep rock. The slick soles of my Chacos didn’t help! It took some advice from below on where to put my feet, but I finally made it to the other end of the bridge, where a misty curtain of water was falling from above, providing a cool restring spot. 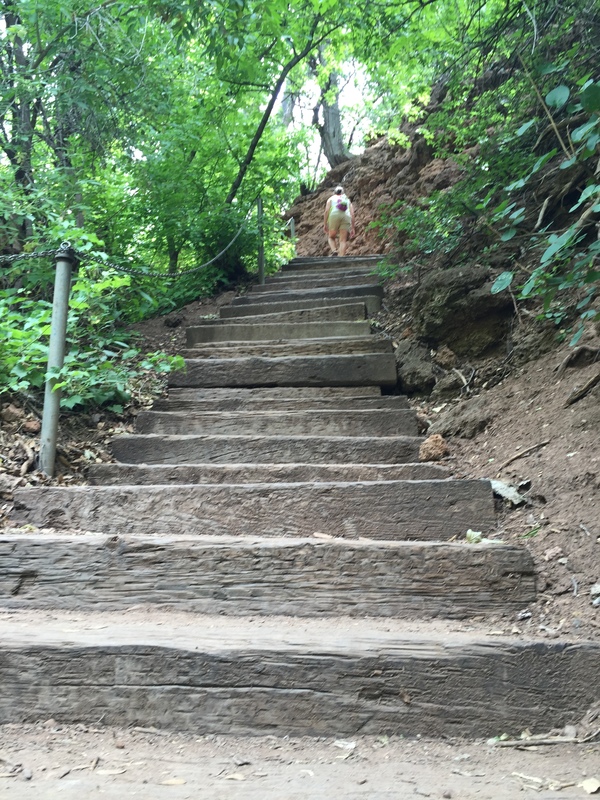 The hike out was short, but steep, and at the end, it definitely felt like we had hiked more than a half-mile. 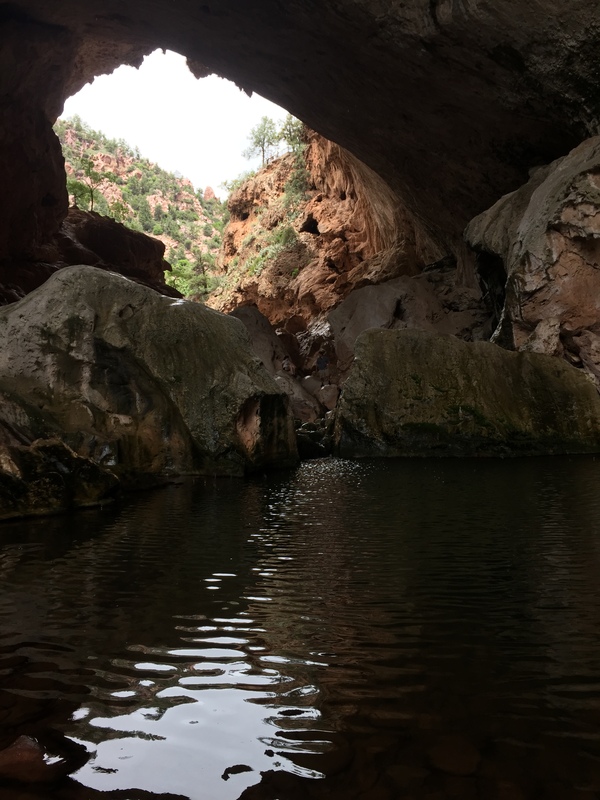 Even though Fossil Creek is still on my “must” list, I must say that Tonto Natural Bridge was a sweet substitute. ← Sedona: The most beautiful place on Earth?